Laundry Service as start-up in India. 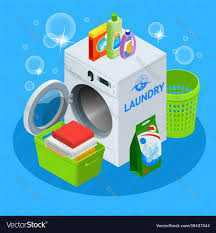 I remember one of my senior, who start providing laundry Service and how quickly he grows this bussiness and earn profits. But because of study and low members in his group he can't make it to continue for long time but I think it's still a good thing to start as start-up. What you guys think , is it a good thing to start as start-up or not ? Andwhat type of problems one can face in it ?